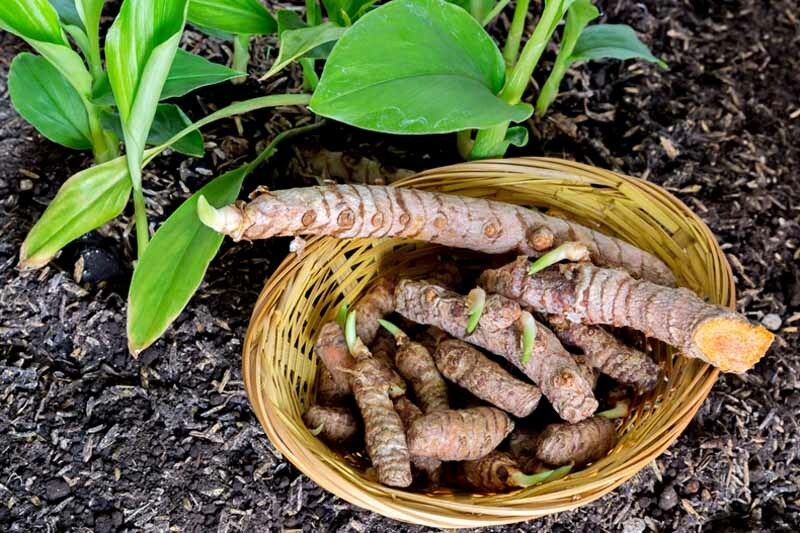 We all know ginger – a tasty culinary herb you can buy practically anywhere. Whether whole root, pureed, or in powdered form, it’s a spice any seasoned cook will reach for in their cupboard, especially when they want an exotic taste of Asia dashed into their dish. Yet, you don’t see the countryside of Europe or America sprawling with ginger farms. Now, why is that? The answer: ginger is a tropical plant, and fairly hard to grow in most temperate regions. Follow along as we explore the various options. Most of the ginger that gets to our tables was cultivated in southern China, India, Indonesia, or West Africa. 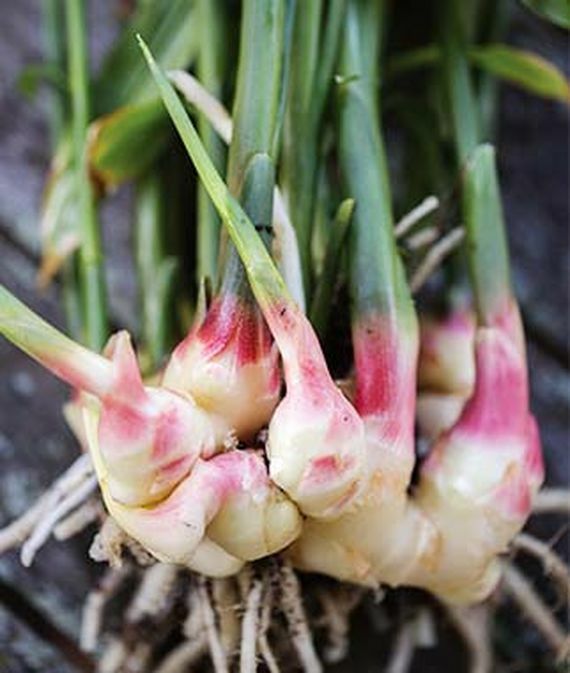 In the native countries where ginger originates, the rhizome (not technically a root, though it’s similar) can grow aplenty as a commercial spice, even in home backyard gardens. 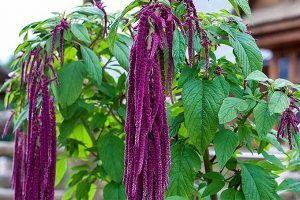 It thrives in these tropical climes and has a penchant for spreading quite aggressively, even when planted as a garden perennial. But the story is different for the rest of the non-tropical world. So, if you’re a lover of ginger, is it possible to form a more personal relationship by growing the herb at home, even if you live in a colder temperate region? 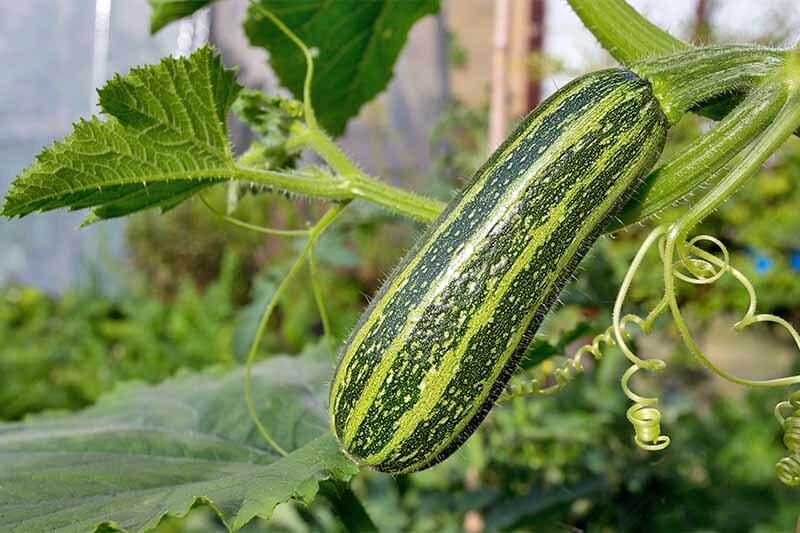 There’s a few tips and tricks to it that may seem a bit daunting for beginner gardeners, but they’re a lot easier than you might think – and completely worth it if you want to enjoy your own home-grown version, for days and days to come. You’ll need to locate some ginger rhizomes. These can be simply purchased from your local grocery store (check Asian markets if your convention supermarket doesn’t carry them) or you can order them online from seed retailers and nurseries such as Burpee. 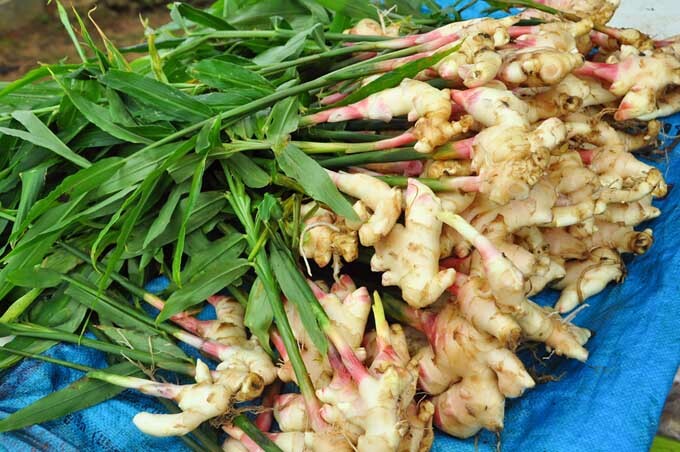 Online retailers are particularly helpful if you want a cultivar other than standard culinary ginger. 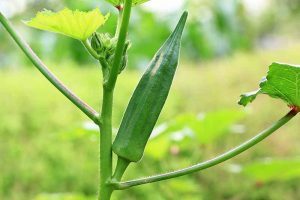 If you are able to choose in person, select a root(s) that is larger and healthy, 4 to 6 inches long and has multiple “fingers” extending from it. 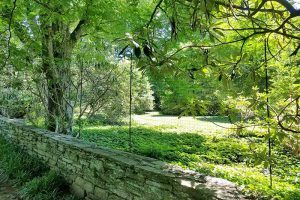 You’ll want to find a location that’s in full to partial shade with rich, loamy, and well-draining soil. It’s naturally an understory plant that thrives in hot humid jungle-like conditions with dappled sunlight. Ginger can be grown directly in the ground or in pots (more on that later). Mix in compost or aged manure if your soil is lacking. 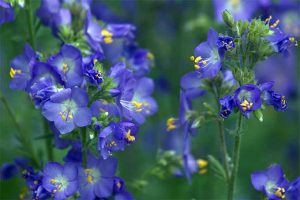 Plant in early spring if possible but if you live in a warmer climate, you can plant at any time. Slice off the fingers making sure the rhizome piece is 1 to 2 inches long with at least one bud. Allow the pieces to dry for 24-48 hours before planting as this helps to control possible root rot. Plant each section at least 12 inches apart no deeper than 1-inch. For commercial cultivation, ginger is usually planted in double rows a foot apart with a working path between rows. Leaves will emerge after about a week. Water sparingly but deeply after you see growth. 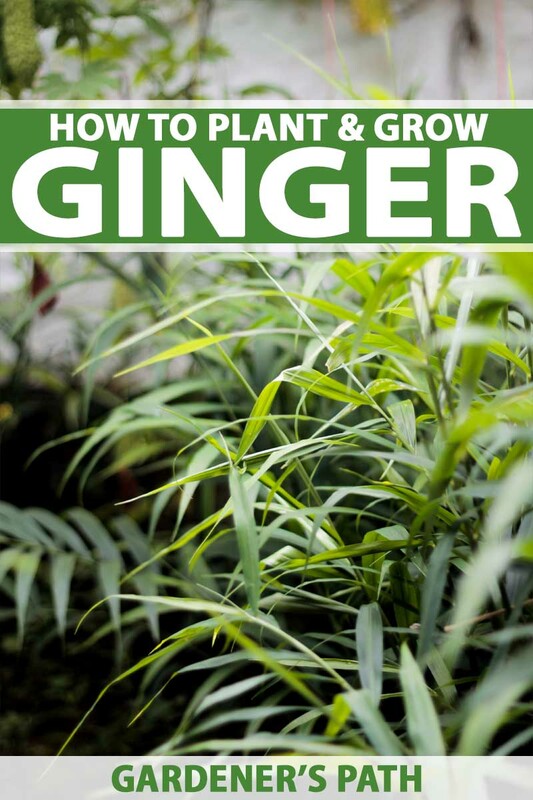 Your ginger will grow up to four feet tall and many of the roots will appear above ground which is natural for this type of plant. 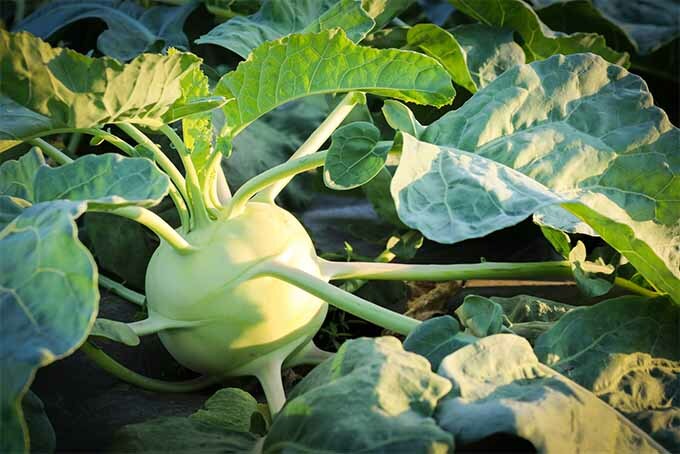 Have you ever tried growing this tasty item in your garden year-round? According to the USDA growing zones map, if the answer is “yes” and you live in growing “hardiness” zones 8 or lower, you were probably disappointed to find that your ginger didn’t sprout back up when you checked it in the spring. 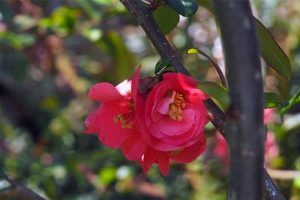 These are designated, climate-dependent region categories that help a gardener determine what he or she can or cannot grow. According to these zones, ginger may only grow year-round in a zone of 9 or higher. In the U.S., roughly anywhere north of southern Texas, Florida, southern Arizona, and stretching up towards the Pacific Northwest, Northeast, and New England couldn’t possibly host ginger all year round. 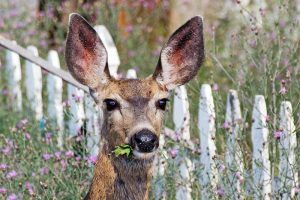 You wouldn’t be able to plug it into your garden along with the mint, sage, parsley, or rosemary, sadly. So what’s the defining line between zones 8 and 9? What makes ginger grow well in one area, and not the other? As a tropical rhizome, this Asian perennial can only stand temperatures around 50°F or higher. It would seem that anything lower simply makes ginger unhappy – damaging it, triggering “dormancy,” and at worst, killing it off completely. Farmers, gardeners, and growers among my friends and community members have consistently reported that their ginger “shuts down” anywhere under 55°F. That is, the above-ground foliage yellows, shrivels, dries, and sheds itself until there’s nothing left. 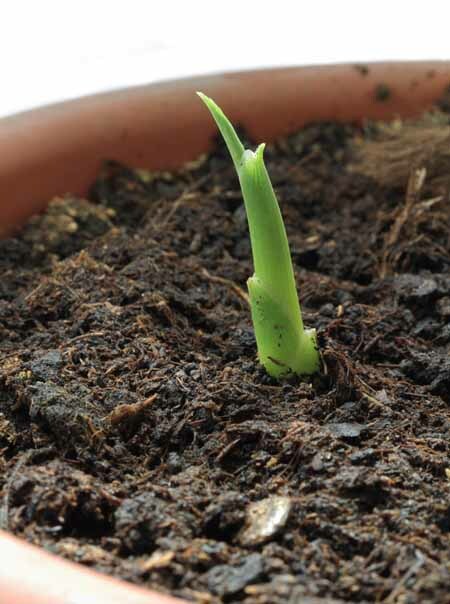 But don’t worry – in most cases, this means that the plant has just gone dormant, or is “sleeping” until warmer times return. If you touch the rhizome with your fingers, you will feel that it is indeed still hard, yet tender and alive. If you want a vibrant, beautiful ginger plant all year round, you will have to make sure that it hangs out in temps above 55°F at all times (optimal between 55 and 60°F). If it gets any lower, then it’s time for a long hibernation until spring! If temperatures reach 32°F and frost, however, you can expect not only for the foliage to die off, but the rhizome to shrivel and become lifeless. Frost cannot be tolerated whatsoever – even if exposed to low 40°F temps repeatedly, the herb just doesn’t thrive naturally. If you plant in growing zones where it CAN flourish, ginger will go dormant during the winter months, triggered by less light and colder temperatures. Then it will come back in the spring, without a worry. 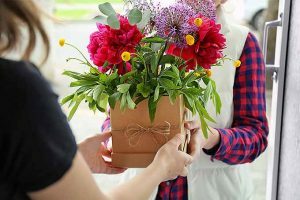 Fortunately, there are some simple tricks to get your ginger away from its frigid foe in more temperate areas– and onto your plate by your very own green thumb, even during the coldest of seasons! In order to have delicious, pungent cooking ginger of your very own, it’s going to have to be quite mobile. At any warning or suspicion of threatening temperatures in fall or spring, you’ll need to move it indoors quickly – all the more reason why you should keep ginger growing in pots. When winter comes around and the temp never gets above freezing, it’ll be time to whisk your potted plant inside, where it can be happy and verdant! Where to Get a Rhizome to Start? 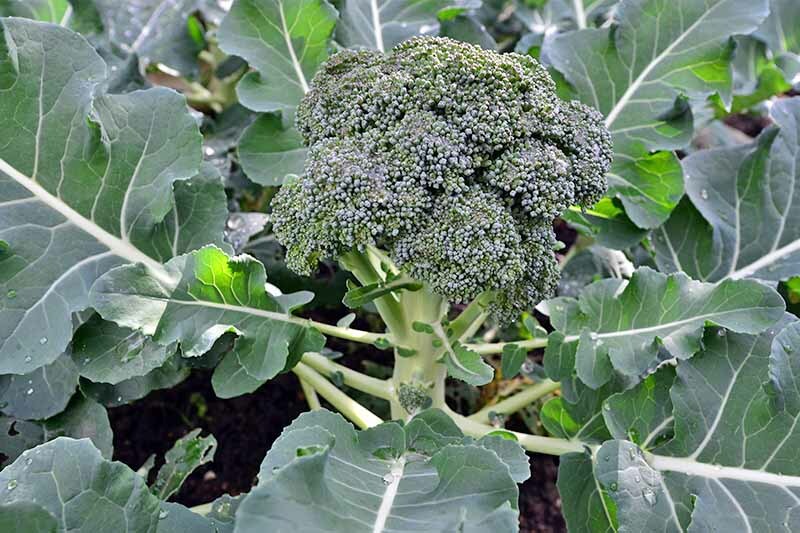 Many buy the whole item from any grocery store, pot it, and see it sprout up shortly after moistening the soil. I have seen this work myself, and it’s so satisfying! What If It Doesn’t Sprout? Try again with a purchase from a different store, until you find a rhizome with some life still in it. What Size and Type of Pot? Pot rhizomes in containers where they can grow and spread to an even bigger size. It’ll want to stretch its legs! 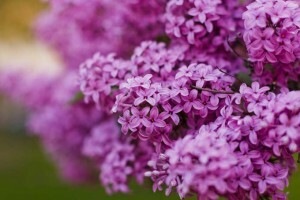 Make sure the pot is well-draining, and the soil is a rich, fertile, absorbent variety – not dry or sandy. What About Moving It Inside? 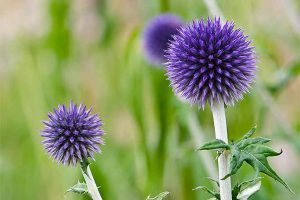 When you first shift your plant to the indoors, having those easy-to-move pots is very helpful in finding that perfectly warm spot where this exotic herb can hang out – until warmer times. And If It’s Just Not Warm Enough? You can move it effortlessly to a new spot, and see how it fares. 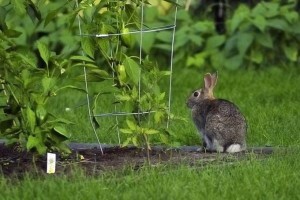 Try a four-season porch, greenhouse, low-tunnel, or high-tunnel in a shady spot. Caring for your potted spice is so simple. Once temperatures climb above freezing again, all you have to do is set your plant out on the stoop or porch. Or, you may choose to give it it’s very own special place in your garden. 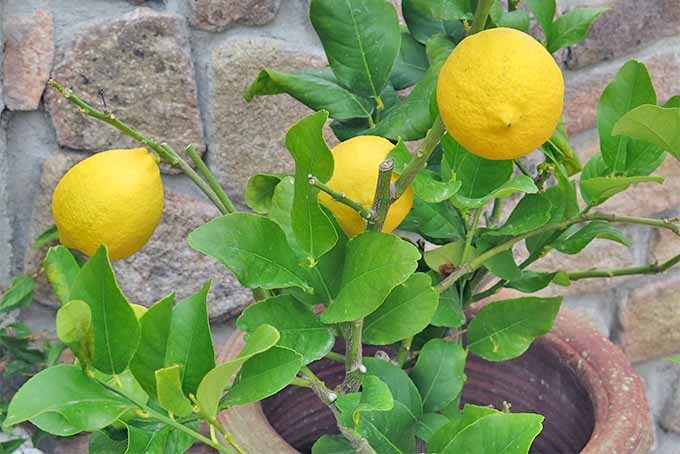 If you’re more of an expert and you have the time, you can transplant these in and out of your garden every year, instead of keeping them in pots. 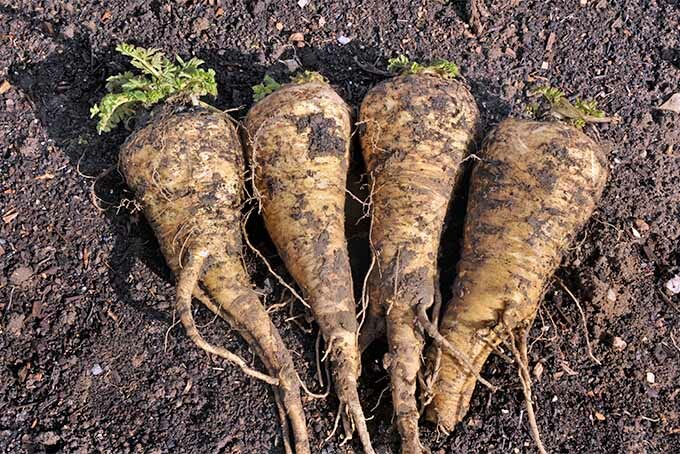 When it’s warm enough, it’s time to sow your rhizomes – and when cold weather looms, just dig them back up, and nurse them in pots indoors. Digging up the rhizome doesn’t hurt it, if you’re gentle. But if you want to see your ginger flourishing outside, then you’ll have to also keep an eagle eye on weather fluctuations to ensure its safety! Like those in pots, make sure you plant your newly-purchased rhizome in fertile, well-draining soil that absorbs water well. Give it some water and see it come back to life, even after being dormant in the produce aisle for a time. 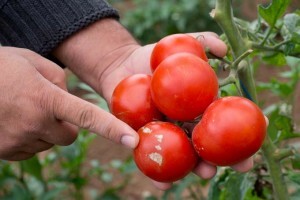 You’ll want to grow in the closest match to its native soil type as possible – which is a damp, fertile, rich, and humus-like soil that absorbs water, but doesn’t get soggy. Soil type is ESPECIALLY important as it’s related to hydration, because you will need to water every day, always keeping the soil moist like its native rainy environment. To protect the roots from rot, water will also need to be able to drain away –muddy soil will kill your plant, and ruin all your hard work. Ginger’s native clime is tropical, rainy, and forested. Keep your plants (or pots) out of full sun – consider putting them in the shade of a tree, or under a shadow-casting cloth. Sure, you could grow it year-round in someplace like Arizona. But with the dry desert sun there, you’ll need something to both shade your plant and retain moisture – keep that in mind. 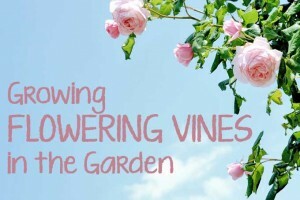 The true magic of growing your own? Being able to use it whenever you want! 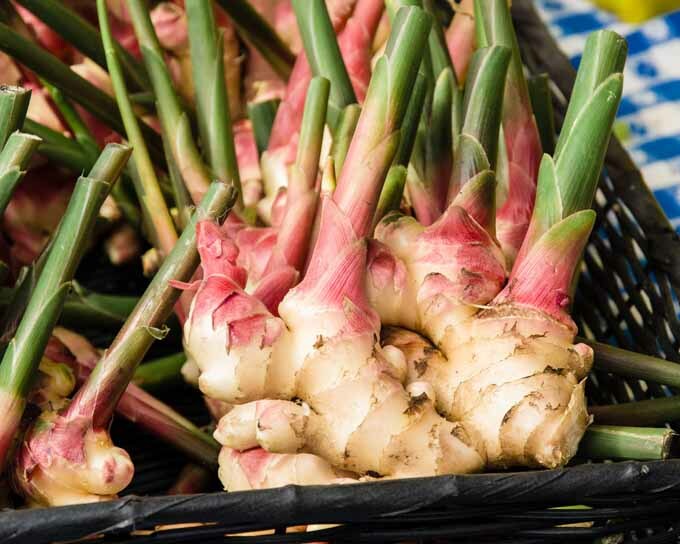 You don’t have to be living in Hawaii, Florida, or even Indonesia to have fresh ginger. 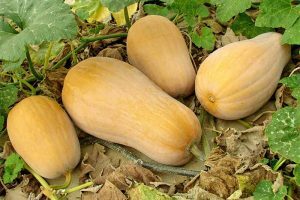 The wonderful thing about growing it in temperate areas is that you can harvest some of the rhizome straight from the pot to your kitchen – without causing harm to the plant at all. 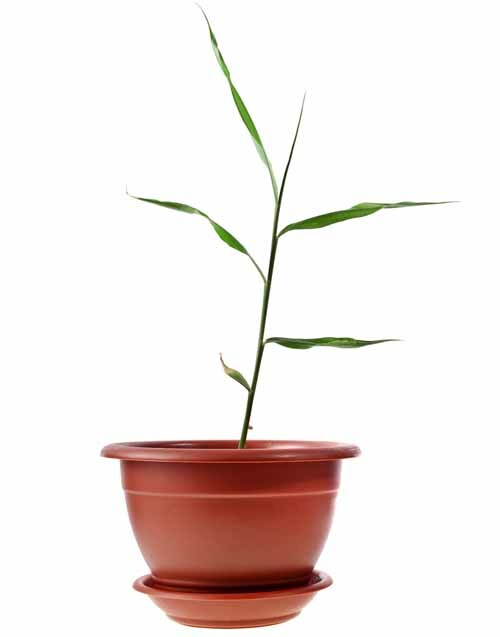 That’s right: it’s real handy to grow temperate ginger in easy-to-manage pots, even indoors! The most common way: just dig it up. Rinse away dirt under cold running water, and go ahead and use it. To keep the rhizome alive: feel all the way down the above-ground shoot with your fingers, to the rhizome under the soil. Measuring at least two inches away from where the stalk meets the rhizome, cut away the rest of the root that is growing away from the plant. 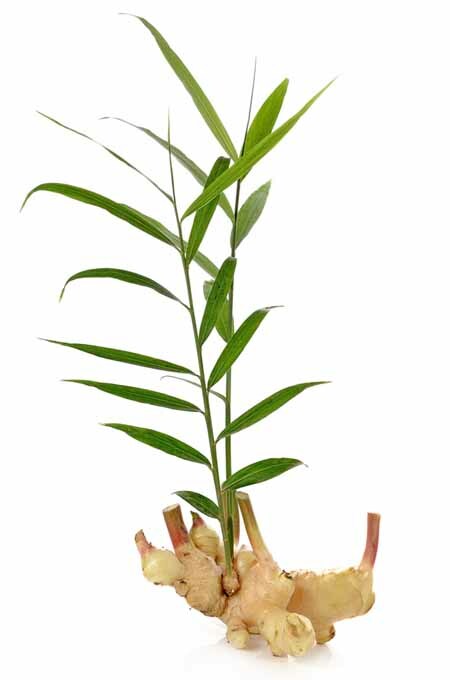 Essentially, you want to leave two inches of the rhizome with stalk intact, and it will continue to grow. 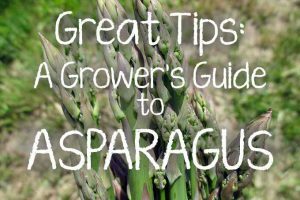 You can use these cut portions in your cooking, while keeping the plant alive for future harvests! However, do realize that after you cut all the ginger you can from a plant, you’ll need to give it time to recover. A minimum of a week’s rest is pretty typical. The lovely thing you’ll realize as you tend this flavorful delight – it loves to spread. 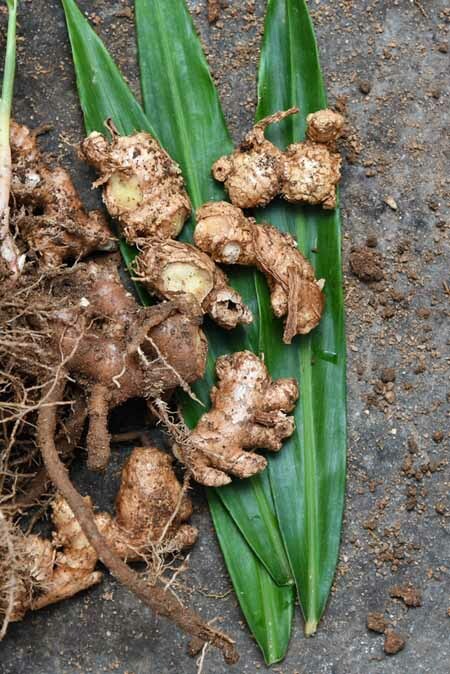 Once your first pot or backyard rhizome swells in size and pushes up multiple stalks, sometimes even to the point of busting out of its container, you’ll know it’s time to start some new ginger. 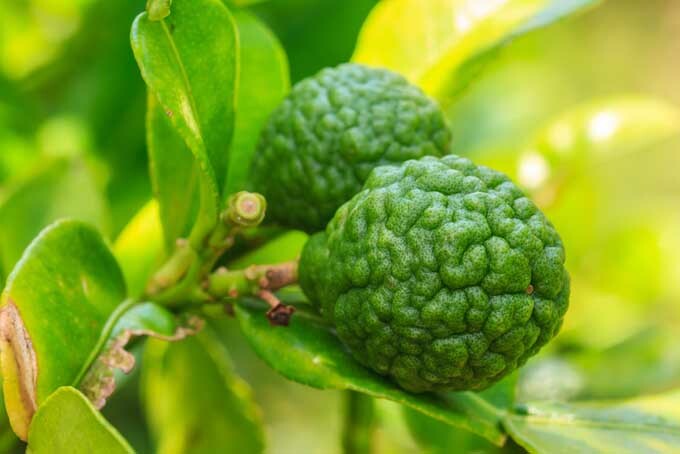 With time, you could have quite a few pots of this exotic spice! Just cut away portions of the root that have their own stalk or “nodule” – leaving at least one stalk behind to remain in the pot. 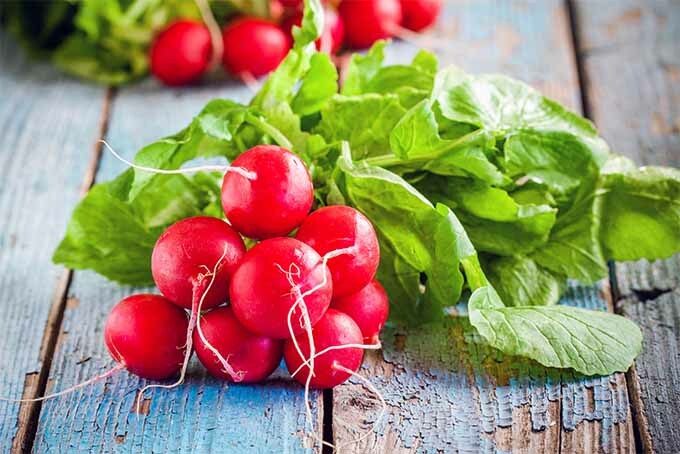 Make sure that each portion you cut away is at least 2-3 inches in length, or the plant won’t regenerate when you transplant it. At this point, you could just eat what you cut away. 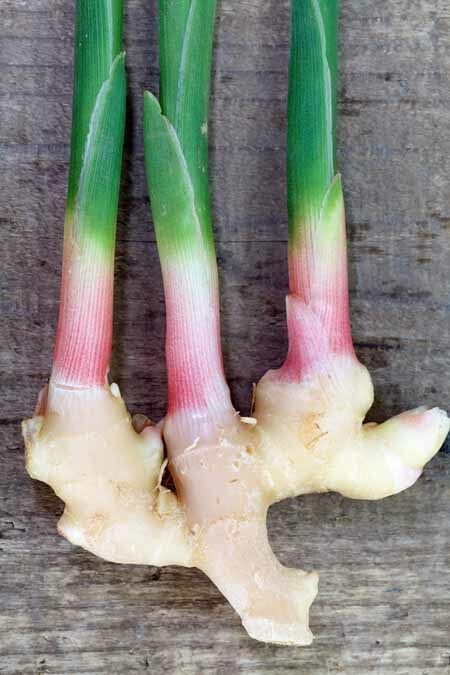 But you can also take each split off, new stalk of ginger and replant it in another pot, or in your garden. Follow the directions above, water it, then watch it grow! 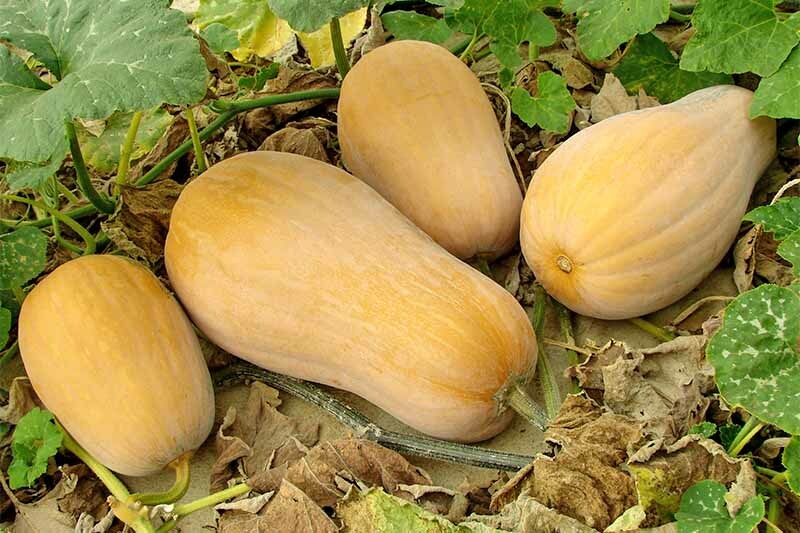 Hardiness (USDA Zone): 9-12 Soil Type: Rich, loamy, and well-draining. Season: Requires year round temperate conditions for outdoors cultivation. Soil PH: Slightly acidic (5.5 to 6.5). Sun: Partial to full shade. Companion Planting: Green mulch, warm-climate loving plants that love rich soil. Time to Maturity: 10 months for full maturity. 4 months for partial harvest. Avoid Planting With: None identified. 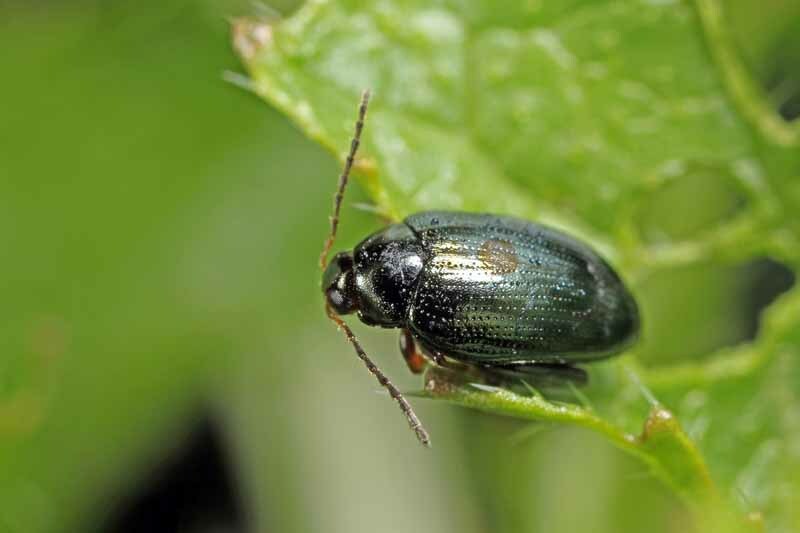 Pests & Diseases: Aphids, ants, mealy bugs, spider mites, cutworms, slugs and snails, bacterial wilt, fusarium fungus, root-knot nematode. Long story short, yes, you can grow ginger practically anywhere. All it takes is a little finesse, a green thumb, diligence, and a sharp eye on weather changes for your local climate. 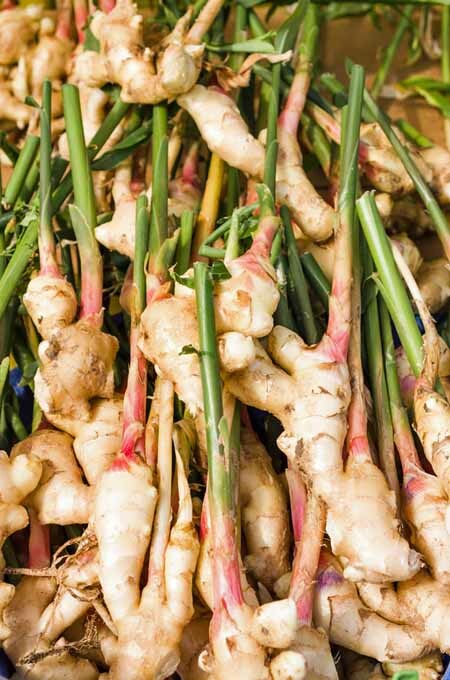 Even better, it’s possible to get quite the stock of plants up and running from one single root – so you can have ginger all year, or share the love by giving some away to your friends! © Ask the Experts, LLC. ALL RIGHTS RESERVED. See our TOS for more details. Product photo via Burpee. Uncredited photos: Shutterstock.